At an evening beach party, in a bar, a student dance or any special occasions, let your party light up with this 22 inches yellow glow accessory . 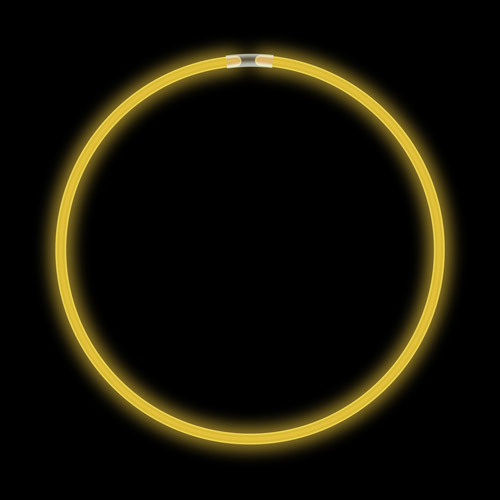 This 22 inches yellow glow necklace will appeal to both and adult and young public. Necklaces are sold in 50 units per tube. Very easy to use. You simply have to bend, crack then shake them to activate the glow which lasts more than 6 hours. The glow accessory has an assembling junction tip included. You can wear it, until sunrise. The necklace is not recommended for children under the age of 5 years old.